The director of the Communicable Disease Control (CDC) Department at the Ministry of Health has urged the public to protect themselves from diseases that are easily spread in the upcoming rainy season, including dengue fever, malaria, acute watery diarrhea and influenza. Dr. Ly Sovann said people should take a wide range of precautionary measures to prevent communicable diseases from spreading, including eating a balanced and nutritious diet to washing their hands as often as possible. “During the rainy season, all people should drink hot water, eat hot soup and/or hot milk,” he said. Seang Nath, the chief of Mesor Chrey commune’s healthcare center in Kampong Cham province’s Stoeng Triang district, said he plans to travel to villages in the area to speak to resident representatives to pass on the CDC’s recommendations. He said officials from the provincial health department occasionally visited to share the CDC’s recommendations to residents. “They come in ambulances with a big speaker on the roof. The villagers can hear the recommendations of the CDC from far away,” he said. Dr. Nath said diseases such as malaria, diarrhea and influenza were common occurrences in the commune thanks to the wet conditions of the aptly named season. According to the Ministry of Health, diarrhea and foodborne disease outbreaks are common in Cambodia, with officials saying the most effective way to prevent the spread of diseases was to only consume bottled water. Dengue is endemic throughout Cambodia, with the majority of infections occurring during the rainy season. Health officials advise residents and tourists to protect themselves from mosquito bites during the night and even in the day. 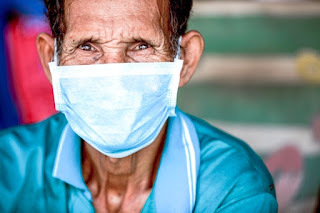 Last year the World Health Organization (WHO) and the Ministry of Health alerted travelers and citizens to the possibility of catching the Middle East Respiratory virus (MERS) in Cambodia after it was detected in South Korea. Vicky Houssiere, a communications officer with the WHO, said the government has been preparing for the virus since 2012 by sending doctors to receive training on how to prevent it. Ms. Housiere also said the WHO has been cooperating with the Ministry of Health to improve and strengthen the Kingdom’s capacity to deal with emerging diseases such as SARS and MERS. “They focus on improving the healthcare system such as laboratories and surveillance,”she said. According to the CDC, the government has received a second Greater Mekong Sub-region grant of $10 million for the cost of a Regional Communicable Disease Control Project, with the additional funding for malaria program activities getting a grant of $4 million. The main goal is to improve the health of the population in the region, in particular for ethnic groups, women and children in border districts.